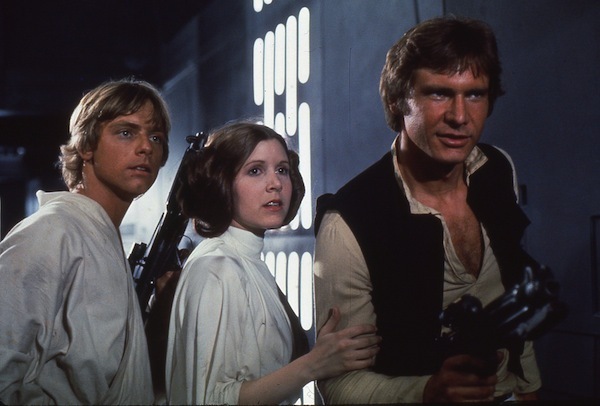 Luke Skywalker, Princess Leia, and Han Solo. Which one would you like to be? “The Science of the Story” originally appeared on Greater Good, the online magazine of The Greater Good Science Center at UC Berkeley. Jeremy Adam Smith edits the GGSC's online magazine, Greater Good. He is also the author or coeditor of four books, including The Daddy Shift and Are We Born Racist? Smith's coverage of racial and economic segregation in San Francisco schools has won numerous honors, most recently the Sigma Delta Chi Award for investigative reporting, John Swett Award from the California Teachers Association, and the investigative reporting prize from the Education Writers Association. Before joining the GGSC, Jeremy was a 2010-11 John S. Knight Journalism Fellow at Stanford University. You can follow him on Twitter @jeremyadamsmith.